Simply hit "PLAY" for a guided tour, or walk through independently. 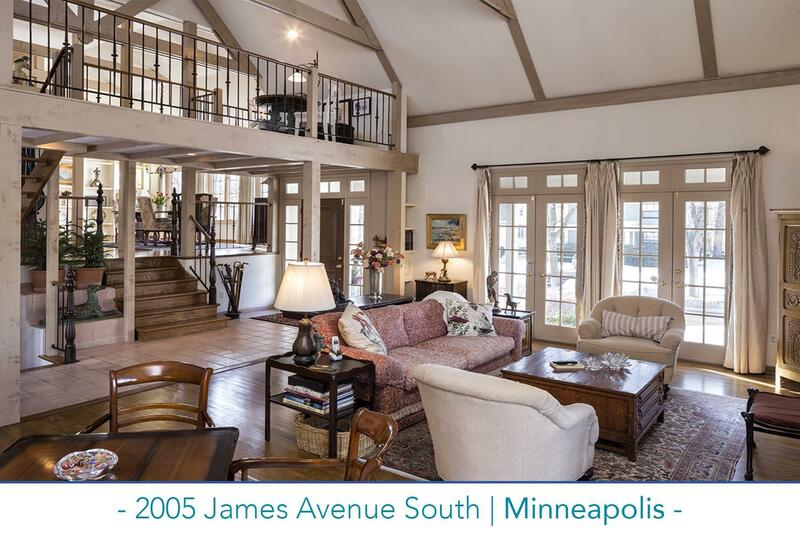 Great entertaining space in this architecturally transformed home on a quiet block just steps to Lake of the Isles. Vaulted and beamed living room, vaulted dining room, cheerful kitchen and lofted study. The private upper-level master suite includes a full bath and walk-in closet. Guest bedroom and bath adjoin spacious family room. Lower level amusement room/office. Private rear terrace with outdoor fireplace. Tuck under garage.